Membership in the South Dakota High School Basketball Hall of Fame expanded to 98 with the induction of 16 former greats in the Class of 2015. The sixth annual banquet was held March 28 at the Ramkota Hotel in Sioux Falls. The Hall of Fame is proud to welcome, from left, in back, Jim Dyer (Willow Lake ’60), John Sivesind (Sioux Falls Roosevelt ’96), Chuck Iverson (Vermillion ’69), Jim Mitchell (South Dakota School for the Deaf ’54), Jim Tays (Gettysburg ’50), Marv Rasmussen (Claremont ’55) and Lorre Colburn representing the late Lee Colburn (Brookings ’69). In front, John Eidsness (Canton ’66), Amy Burnett (Huron ’91), Carla Allard-Watson (Bennett County ’87), Katie Dailey (Jefferson ’81), Julie (Jensen) Rozell (Langford ’91), Vince Whipple (Rapid City ’56) and Mike Freier (Tripp ’67). Completing the Class of 2015 are the late Ray Hamann (Yankton ’31) and the late Jimmy Lovley (Elkton ’20). To read bios of this year’s honorees, as well as of all other Hall of Fame members, please click on Inductees on this website. 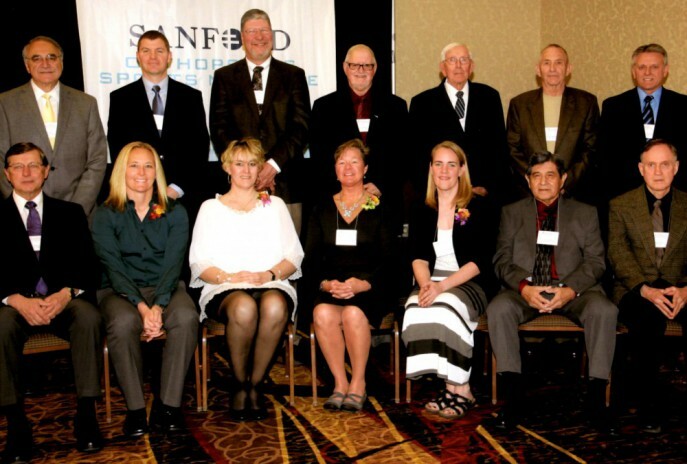 Each year at the South Dakota High School Basketball Hall of Fame induction banquet, an outstanding team from the past is recognized by the Hall of Fame as a Team of Excellence. Honored for 2015 during the sixth annual banquet on March 28 at the Ramkota Hotel in Sioux Falls was 1990 Wakonda. The Warriorettes defeated Langford 85-60 in the championship game of the Class B state girls tournament to clinch their third consecutive title. Wakonda finished the season with an undefeated record of 26-0. The Warriorettes extended their winning streak to 76 consecutive games. Team members were, from left, Jessica (Johnson) Bosse, Mandy (Richey) Wilson, Casey (Mount) Pollman, Carmen (Girard) Giles, Keeley Pollman, Nicky (Johnsen) Gilbertson, Becky (Flynn) Jensen, Trina (Hansen) Merideth, Kathy (Denzin) Fitzgerald, Beth (Mullinix) Kopecky, Becky (Lyso) Gregoire and Sandy (Lyso) Wolfswickel. In front, from left, Assistant Coach Tim Pflanz; student managers Lana Humpal, Megan Beatty and Miranda Moser; and Coach Ron Flynn. Sixteen of the state’s all-time greatest players will be honored during the sixth annual South Dakota High School Basketball Hall of Fame induction banquet at 2 p.m. on March 28 at the Ramkota Hotel in Sioux Falls. Included is the late Leonard “Jimmy” Lovley, the state’s only representative in the prestigious Helms Foundation Basketball Hall of Fame. Lovley was a 1920 graduate of Elkton. He led the Elks to two state championships during South Dakota’s one-class era. 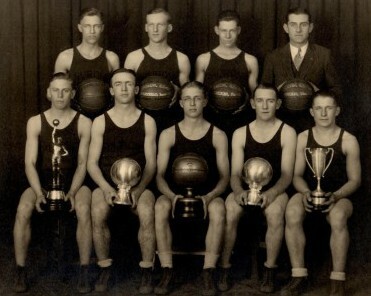 Lovley became the first All-American in Creighton University history, earning that distinction in both 1923 and 1924. 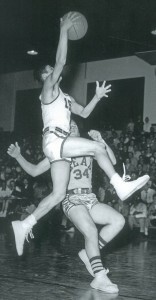 He was inducted into the Helms Foundation Basketball Hall of Fame in 1957. The Class of 2015 also features Amy Burnett (Huron ‘91) of Austin, Texas; the late Lee Colburn (Brookings ‘69); Katie Dailey (Jefferson ‘81) of Canistota; Jim Dyer (Willow Lake ‘60) of Scottsdale, Ariz.; John Eidsness (Canton ‘66) of Pelican Rapids, Minn.; Mike Freier (Tripp ‘67) of Bloomington, Minn.; the late Ray Hamann (Yankton ‘31); Chuck Iverson (Vermillion ‘69) of Yankton; Jim Mitchell (South Dakota School for the Deaf ‘54) of Sioux Falls; Marv Rasmussen (Claremont ‘55) of Langford; Julie Jensen Rozell (Langford ‘91) of Redfield; John Sivesind (Sioux Falls Roosevelt ‘96) of Sioux Falls; Jim Tays (Gettysburg ‘50) of Hot Springs; Carla Allard-Watson (Bennett County ‘87) of Rapid City; and pictured at left Vince Whipple (Rapid City ‘56) of Porcupine. 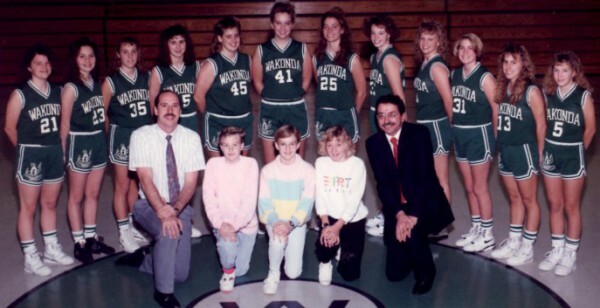 Recognized as a Team of Excellence will be the 1990 Wakonda girls. The Warriorettes were 26-0. Friends of the South Dakota High School Basketball Hall of Fame have received the 2014 Fall Newsletter. The newsletter is free and was sent Dec. 1 to those on the Hall of Fame mailing list. If you do not receive a copy and would like one, email your name and home address to dlwagner@tnics.com. Or phone executive director Dave Wagner at (605) 467-3010. You will then be sent a copy and will be placed on our mailing list to receive future newsletters. There are 12 pages in the newsletter, which features a comprehensive story about Cheyenne Indian Agency’s memorable championship quest in the late 1950s. Unforgettable players who performed admirably for the Braves during their 1959 state-title season included Freddie Knife, Mel Bagola, Bob Mandan and Chet Condon. Another among several noteworthy stories examines the importance of Catholic high school basketball in South Dakota and the excitement associated with the Catholic state tournament that was held from 1937 through 1964. The newsletter explores topics that are of interest to all basketball fans. We hope you enjoy it. The year was 1927. Calvin Coolidge was president. “Wings” became the only silent film ever named best picture at the Academy Awards. Babe Ruth and Lou Gehrig powered the New York Yankees to the World Series championship. And the cost of admission to a session of the South Dakota state high school basketball tournament was 25 cents. It was a quarter well spent for the many fans who packed the Corn Palace in Mitchell to watch Huron defeat Watertown, Madison and Aberdeen. 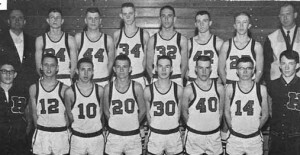 The Coffeymen, as the Huron team was called at that time, boasted two of the state’s all-time greatest players in Sam Perrin and Conrad “Cornie” Collin. Both went on to become collegiate stars. Huron team members were, from left, front, Harold Marquis, Harold Crawford, Collin, Lawrence Sheridan and Kenneth Hoppell. Back, Percy Washabaugh, Perrin, Arthur Campbell and Coach Frank Coffey. Huron’s state championship earned it an invitation to the National Interscholastic Basketball Tournament in Chicago. Read the complete story of the 1927 Huron team’s drive to glory in the upcoming South Dakota High School Basketball Hall of Fame newsletter. Published biannually, in the fall and spring, the newsletter examines topics from the past while providing information about the Hall of Fame and its activities. Included are items of interest for all basketball fans. The newsletter is free. To add your name to the Hall of Fame mailing list simply e-mail your home address (not email address) to: dlwagner@tnics.com. Or phone in your address by calling (605) 467-3010. The future course of the South Dakota High School Basketball Hall of Fame will be guided by Dave Wagner and Bob Swanhorst with assistance from an active board of directors. Wagner was named executive director by a recent vote of the board. Swanhorst, formerly vice president, was elected president. Other officers are LaMoine Torgerson, Lee Stoddard and Wayne Thue. Torgerson is the newly elected vice president while Stoddard remains as treasurer and Thue as secretary. 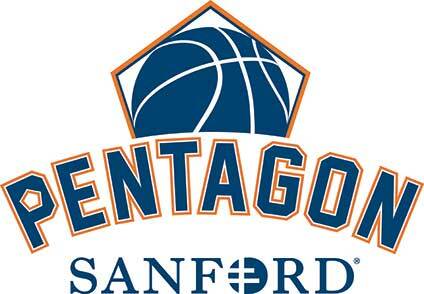 Remaining on the board of directors are Randy Jencks and Greg Hansen. Newly elected to the board are Frank Brost, Gordon Fosness, Mike Begeman, Ron Flynn, Deb Finnesand and Bob Ehrke. The seventeen newest members of the South Dakota High School Basketball Hall of Fame were inducted during the fifth annual banquet that was held March 29 at the Ramkota Hotel in Sioux Falls. Honored for their outstanding accomplishments were, from left, front, Willie White (Pine Ridge), Lien Marso (Harrold), Luther Hippe (Sioux Falls Washington), Mark Tetzlaff (Hamlin) and DuWayne Groos (Sisseton). Middle, Mandy Koupal (Wagner), Lori Wohlleber O’Farrell (Summit), Julie Harmacek Bridge (Avon), Kris Holwerda Woerner (Brookings) and Colleen Moran (Stickney). Back, Denver Ten Broek (McIntosh), Aaron Miedema representing his father Phil Miedema (Hitchcock), Richard “Milt” Authier (Woonsocket), Bart Friedrick (Mitchell), Gerhardt “G.E.” Buenning (Parkston), Rich Andrzejewski (Arlington) and Steve Hammer (Pierpont). Recognized as a Team of Excellence during the banquet was the 1985 Mitchell Kernels, undefeated Class AA state champions. Mitchell was led by Friedrick, who sent on to star at Drake University, and coached by Gary Munsen. The fifth annual South Dakota High School Basketball Hall of Fame induction banquet will feature 17 men and women who have helped write basketball history over the past six decades. On March 29 the Sioux Falls Ramkota will host the inductees and several hundred guests for a program and banquet. The following athletes are set to accept their place along with 65 previous inductees who have set a standard of excellence and whose contributions are forever etched in the record books. Lien Marso (Harrold); Mark Tetzlaff (Hamlin); DuWayne Gross (Sisseton); Rich Andrzejewski (Arlington); Richard “Milt” Authier (Woonsocket); Phil Miedema (Hitchcock); Willie White (Pine Ridge); Gerhardt “G.E.” Buenning (Parkston); Bart Friedrick (Mitchell); Denver Ten Broek (McIntosh); Luther Hippe (Washington); Steve Hammer (Pierpont) ; Julie (Harmacek) Bridge (Avon); Colleen Moran (Stickney); Mandy Koupal (Wagner); Kris Holwerda (Brookings); Lori (Wohleber) O’Farrell (Summit). In addition to these athletes, the 1985 Mitchell Kernels will be recognized as a team of excellence along with Coach Gary Munsen. Kent Hyde, a Hall of Fame athlete from Onida, will be recognized as the fourth all-time single season scoring leader in the nation with 50.4 points per game in 1953. 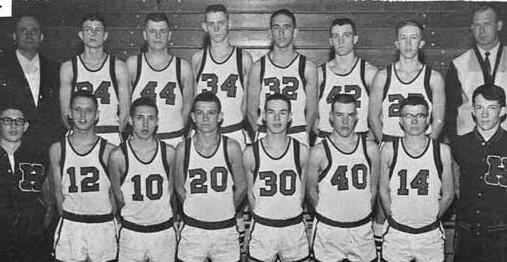 The South Dakota High School Basketball Hall of Fame is proud to announce that the unbeaten 1964 Howard Tigers have been chosen as the Team of Excellence for 2013. The Tigers won the Class B state tournament and went undefeated at 28-0. In the finals they beat Scotland 60-51. The coach was Jim Cordts. The team will be honored during the fourth annual induction banquet at the Dakota Prairie Playhouse in Madison on March 23. 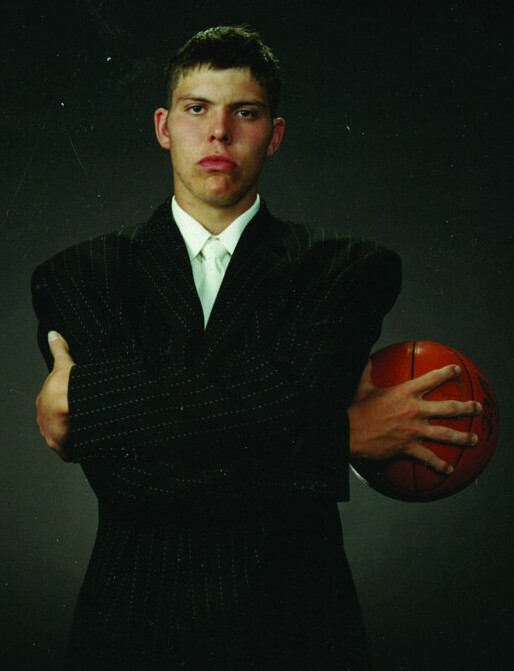 A reigning NBA champion, Miami Heat veteran Mike Miller, is among 16 stalwarts who will be inducted into the South Dakota High School Basketball Hall of Fame during a banquet in Madison on March 23. Miller helped Mitchell High School to two Class AA state championships before graduating in 1998. He then led the University of Florida to the NCAA Final Four. Miller was chosen by Orlando as the fifth overall pick in the 2000 NBA draft. The 6-foot-8 guard/forward, of Pompano Beach, Fla., is now in his 12th season. He made seven 3-pointers and scored 23 points in the deciding game as Miami defeated Oklahoma City in last season’s NBA Finals. Those to be enshrined distinguished themselves through exemplary playing careers. They expand membership to 65 in the Hall of Fame, whose purpose is to record and preserve the basketball history of South Dakota. Mike Miller of Pompano Beach, Fla. (Mitchell 1996); Scott Bosanko of Farmington, N.M. (Aberdeen Central 1977); Amy Mickelson of Sioux Falls (Brookings 1986); Chris Divich of San Antonio, Texas (Doland 1952); Carol (Freeman) Galbraith of Winner (Canova 1979); Clyde Hagen of Sioux Falls (Webster 1966); Garney Henley of Huron (Hayti 1955); Kent Hyde of Little Rock, Ark. (Onida 1954); Gerald Lund of Buhl, Idaho (Belle Fourche 1957); Chad Nelson of Edgartown, Mass. (Yankton 1974); Renee Ruesink of Sioux Falls (Castlewood 1984); Jim Schlekeway of Mobridge (Britton 1964); Wayne Stone of Mitchell (Mitchell 1941); Wendy Swanhorst of Denver, Colo. (Cresbard 1978); Marty Waukazoo of San Leandro, Calif. (Rapid City 1967); Chuck Welke Jr. of Thompson, N.D. (Warner 1994). Team of Excellence: 1964 Howard Tigers.